My love for smoothies has grown even more in the last couple of years. With there being so many wonderful delicious and healthy ingredients you can put together and blend, it's hard not to love them. One thing I love about smoothies is that I can put anything I know my kids would not normally eat in them and blend it up with a little fruit and they'd think it was delicious and want more. This is done in my house on several occasions, especially when it comes to their greens. As much as we try and get them to eat their greens, kids are picky and some times we as parents don't win all the battles and some times we have to cave. When this happens, I make sure to have a delicious after school snack for my kids waiting for them when they get home. When the weather is nice and warm outside, I make sure to blend up my ingredients I would make for a smoothie and create Popsicle instead. Since the weather is barely starting to warm up out here, smoothies have been my main go to after school snack to make sure the kids are getting everything they need that they wouldn't normally eat. 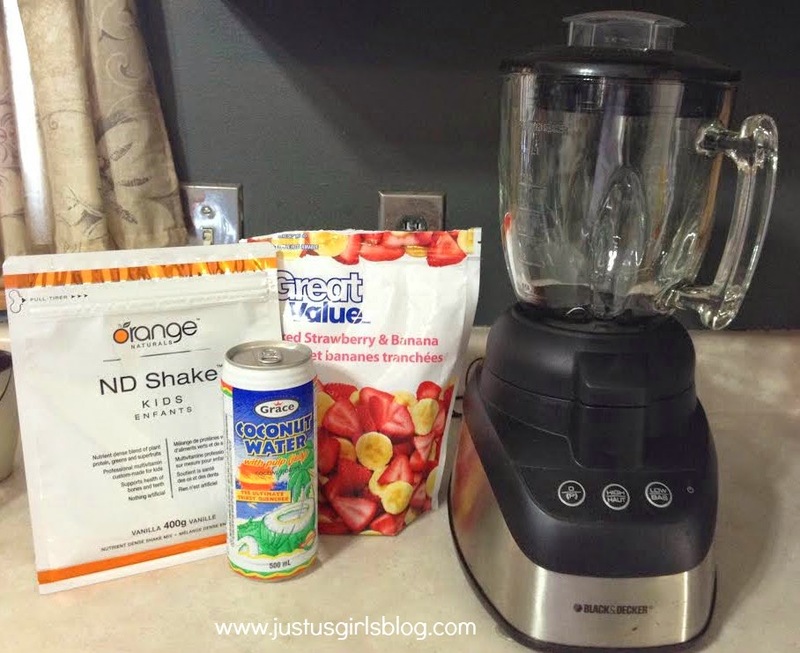 As you may remember a couple months ago, I'm an Orange Natural Mom Ambassador and we talked about how I incorporated their ND Shakes for Kids into some of the snacks I make for my kids. Well, this certainly does include our smoothies I make for us. 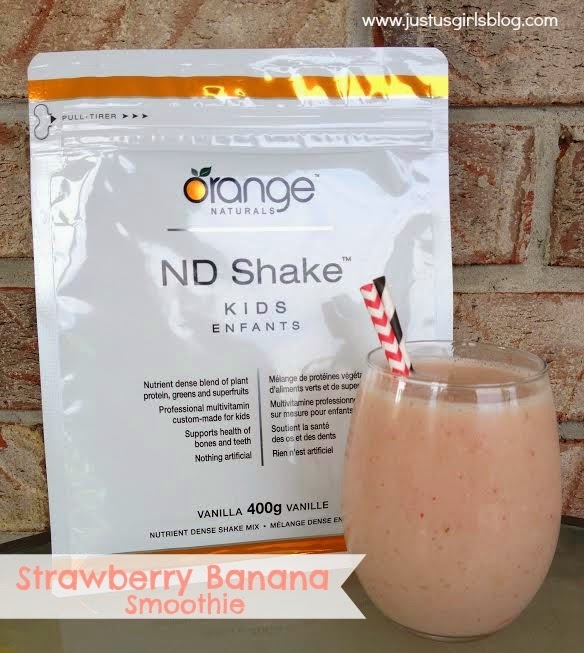 Since the ND Shakes for Kids includes lots of greens and super fruits such as with broccoli, parsley and kale, this is a perfect addition to our smoothies to make sure my kids are getting the greens they need to stay healthy. That's why this week's Thirsty Thursday will be a Strawberry Banana Smoothie that includes a scoop of the ND Shakes for Kids. Trust me, it's delicious and your kids won't even know that you've added a scoop of the shake mix in their treat. Orange Natural was also featured on both The Morning Show on Global and Steven and Chris sharing their many smoothie creations you can make with your family. If you have yet to check out Orange Natural and all the healthy and natural products they have that can help keep your family, be sure to check them out on their website, blog and you can follow them on Facebook and Twitter as well. Directions: Put everything in a blender and blend until smooth. Pour in glass and enjoy!